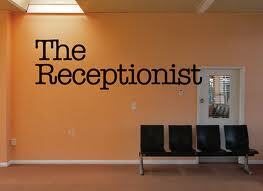 The receptionist is the Ambassador for your organisation. First impressions are so important. Visitors to your organisation will form an impression within 3 minutes of entering your building. We are opening an Urgent Care Centre in, London in Mid April. I am looking to train a small group of receptionists in basic life support and first aid on dates between 4th and 18th April. We do not have a base to do this training from so this would need to be provided. Please can you send me some info on your services with costs? not qualified in training life support or first aid.